Do you sometimes feel as if trying to market your business on Facebook is like talking to a brick wall? Well, the problem may not be what you’re sending out, but who you’re sending it to. Without a targeted base of Facebook fans -- you might as well be talking to a brick wall because the results will be almost the same. An all-too-common myth of Facebook marketing is that the sheer numbers of fans will guarantee success. Sorry, but that's not the case. 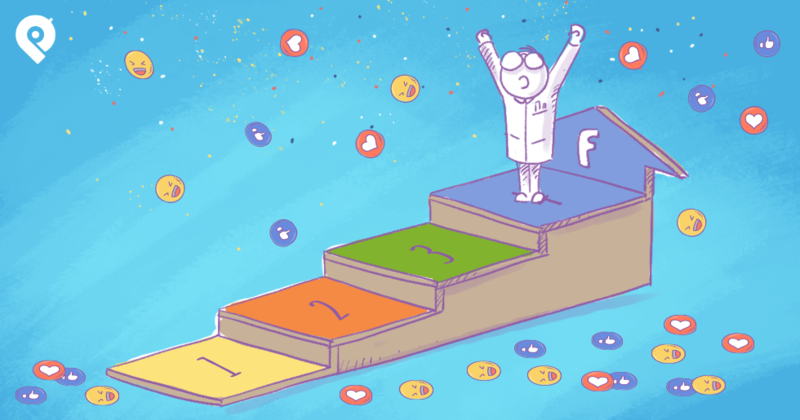 Instead of making it your goal to connect with a lot of Facebook fans -- make it your goal to attract the right Facebook fans. In the beginning -- you only need a handful of the right fans. This strategy can get you started down the path to success. 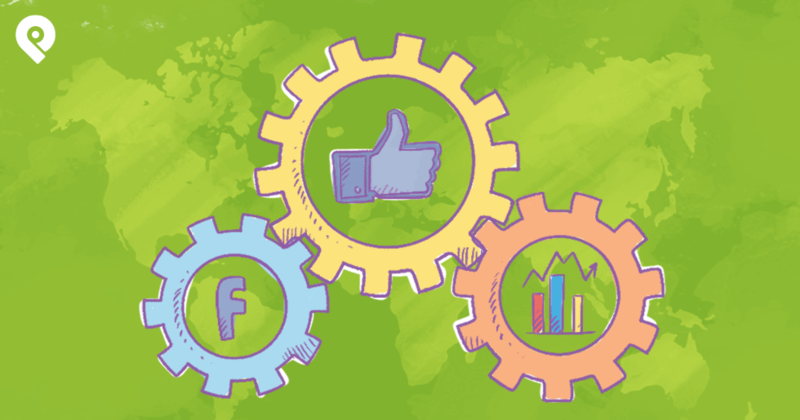 You'll be able to scale and grow your Facebook page the right way. So who are the right fans and how do you target them? I'll spend the rest of my time here today answering that important question. Let’s start with how to identify the fans you want to attract. First things first, if you haven't created a buyer persona for your business, now is the time. A buyer persona is a semi-fictional representation of your ideal customer. An accurate buyer persona will guide your Facebook marketing efforts throughout the entire process. This is a valuable resource if you want to attract the right Facebook fans. It will also help you tailor your marketing message and target the right audience through posts and ads. So, using our Appletotes & Co. example, let’s create a buyer persona for our business. There are some attributes we can identify right off the bat. This's enough to get us started -- but let’s take a look at any available data we have to try to get to know our buyer persona a little better. Let's see if the data supports our assumptions. My friend had already done some Facebook marketing on her own. Let's take a look at the Insights (analytics) of her page to see what kind of data we have to work with. 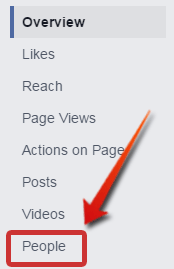 We'll first log into our Facebook page and click the "Insights" link in the top menu bar. What we care about here is data on our fans, under the "People" link. Taking a look, we were correct in assuming the majority of our audience is female. One interesting thing that jumps out is the high percentage in the 35-44 age range. Not surprisingly, the breakdown of women vs. men is almost the same. What's interesting to note is our posts are shown fairly evenly across the 35–65+ age range. This is despite what we saw earlier -- that the bulk of our fans are in the 35-44 age range. Finally, we have a tab for People Engaged. Engagement is the goal in most social media marketing strategies. So this is the one we will give the most weight to. Here we see over 90% of our engaged fans are women (we were obviously on track with that assumption). As with the People Reached tab -- we see the trend continuing that the 35-65+ age range is our wheelhouse. The most interesting conclusion from looking into this data has to do with the 65+ age range. Looking back at the all fans stats, we see women in the 65+ age only comprise 6 percent of our total fans. But here we see they comprise 18 percent of Engaged Fans. Can anyone else hear opportunity knocking? It’s pretty loud. Further experimentation is necessary since we’re working with a pretty small sample size. But we should definitely be targeting some ads to get more fans in the 65+ age range to see if this trend continues. For many businesses, it will make sense to have more than one buyer persona. Then you'd tailor your message based on which you’re targeting in a specific post. In Appletotes & Co.’s case, we should have two buyer personas. One will segment the 35-54 age range and the other, the 55–65+ age range. This can aid us in product development. We'll make sure we have a mix of pattern styles that will appeal to both our younger and older demographics. These separate personas will also help personalize our message. When promoting a product for the younger demographic, we should use a different voice than posts intended for our older fans. 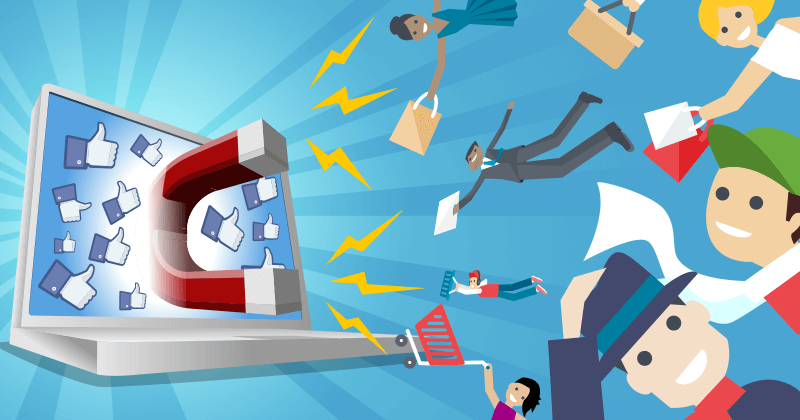 Try to reign in as many of your current customers as possible to like your Facebook page. Make sure you have a clear link to your Facebook page on your website. You can even install an embedded "Like" button so they can like your page without leaving your site. Of course, many of your customers have probably already liked your page -- but let’s make sure you scoop up those who haven’t. One easy (and free) way to get your current customers on board is to use your email list to have Facebook suggest that your customers like your page. As you can see, you’ll be able to import a list from your email software provider or upload your own file. If you opt to upload your own, it will need to be saved in .CSV format for Facebook to read it. 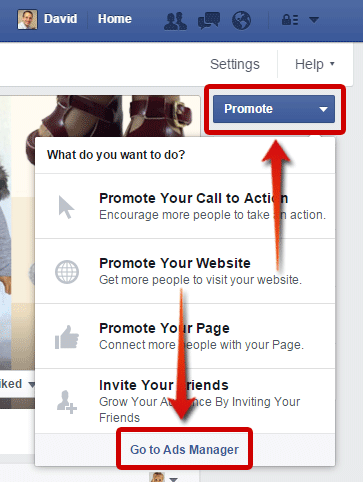 Once you upload your list, Facebook will show you a preview of how your suggested page promo will look. Unfortunately, Facebook doesn’t provide analytics for people who like your page through this process. But, again, it’s free and only takes a few minutes so there’s no reason NOT to do this. In fact, I recommend making this a weekly or monthly habit, as long as your email list is growing. A Lookalike Audience is just what it sounds like. Facebook will take a segment of users that you specify and create an audience of users with similar interests and demographics. 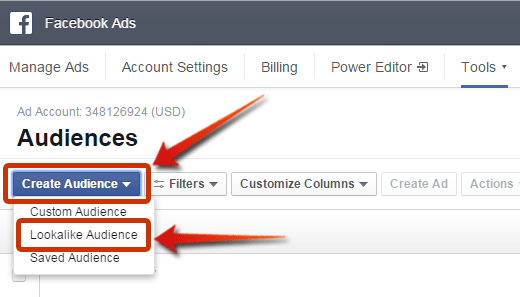 To get started, go into your account's Ad Manager by clicking the blue "Promote" button in the top right of your personal page. Then click "Go to Ads Manager." In the Ads Manager, click on the Tools tab. Then click on the Audiences link in the dropdown. Next, choose the Create Audience tab and the Lookalike Audience in the dropdown. Again, you can choose to base your Lookalike Audience on your page, email list or website visitors. If you're going to base it off an existing email list, you'll first need to create a custom audience of that list. You can do this using the "Custom Audience" link just above the "Lookalike Audience" option in the previous screenshot. 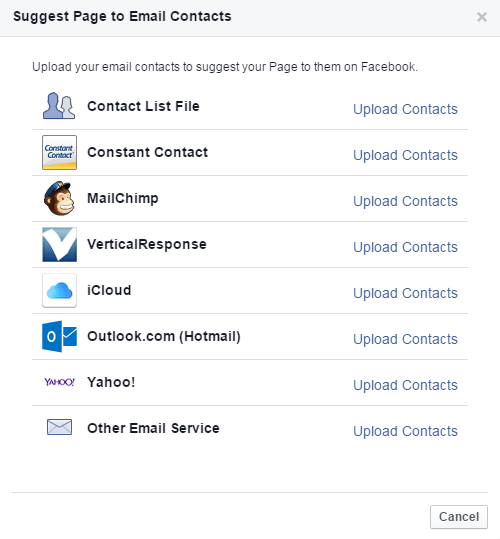 Once you upload your list -- Facebook will check it for email addresses associated with accounts. Those users will comprise your custom audience. If you choose to base it off your page -- Facebook will create an audience similar to your current fans. If you want to base it off of website visitors -- you'll need to install Facebook conversion pixels on your site to begin gathering data. This may be a job for your website developer. Here are Facebook's instructions for installing conversion pixels. For our example, I'll show you how to create a Lookalike Audience based off an email list uploaded from a .CSV file. First, click the "Advanced Options" link (which I've already done) to allow you to choose how many audiences you'll create. 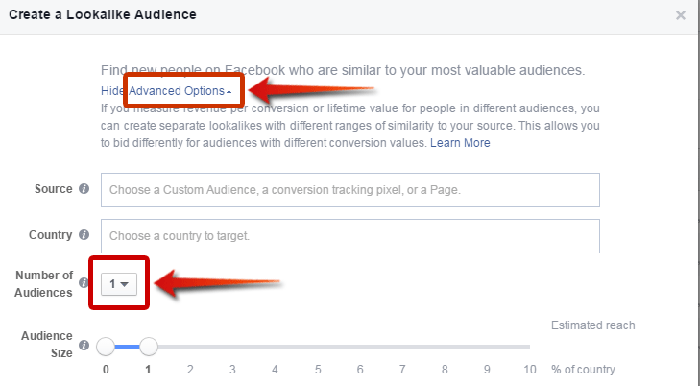 By default, Facebook will create 3 audiences based on the audience size at the bottom. We'll get to what that means in just a second, I promise. I've chosen to only create only 1 audience. Next, we'll need to choose our audience size on a scale from 1%-10%. What this means is the lower the number, the closer a match to your custom audience the Lookalike Audience will be. We went with the closest possible match for this campaign. Finally, click in the source field and choose the audience source. We're using an email list I previously loaded into Facebook as a custom audience. We make our choice, click the blue Confirm button, and we're done! Our new Lookalike Audience will be waiting for us in our list of audiences to target. [Extra-Mile Tip: Are you creating a Lookalike Audience with an email list you've been marketing to? If so, you can start with a custom audience you know is solid. Go into your email software and create a segmented list of who’s opened each of the last 3-5 emails you've sent. Drop those segments into Excel. Remove the duplicates. Viola, you've got a rocking custom audience to create a Lookalike Audience from. A great way to attract the right Facebook fans fast is to run a Like Campaign through a Facebook Ads. This is different than the Suggested Page and Lookalike Audience tactics. In this case, you’ll be starting from scratch and telling Facebook what kind of people you want for fans. I can’t emphasize enough how important it is to get this right. If you run a campaign with sloppy targeting, you'll start getting the wrong fans to like your page. Then 2 things will happen (neither of which is good). 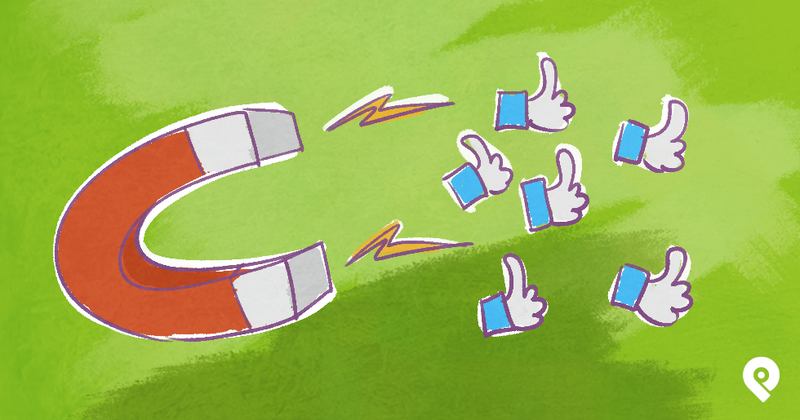 Those fans who aren’t really interested in your page can hurt your organic reach. When you make a post, Facebook sends it out to a small fraction of your fans to test the post's appeal to users. After all, Facebook is in the business of showing people stuff they'll enjoy. So imagine the process like this: you make a post and for simplicity’s sake, let’s say 10 people see it. For every person who engages with it, Facebook will show it to five more people. So if 2 out of the original 10 people like it, it will go out to 10 more. Out of those, 3 more people like it, so it goes to 15 more, and so on. This, combined with shares, is essentially how posts go viral. So what happens when you’ve got a bunch of fans who aren’t interested in your business? Well, if any of them are a part of that original 10 people who were served your post (which they sometimes will be) -- that’s a disaster. Facebook will get the signal that your post holds no value for your audience and won’t "promote" it with increased organic reach. This is an amazing oversimplification of how the Facebook algorithm works and the numbers are made up -- but conceptually it serves its purpose to show why you need ONLY the right people liking your page. Now we all understand how important it is to gear these campaigns to super relevant potential fans. 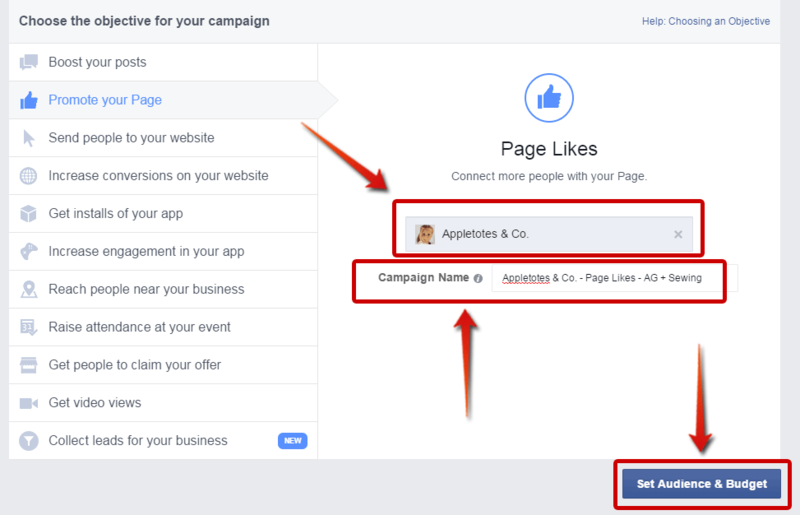 Next, let’s take a look at how to get them using your Like Campaign. Even though we're going to boost your page, DO NOT choose the "Boost Your Page" option. Go into the Ads Manager to create this campaign. That will give you important options that aren't available through the "Boost Your Page" feature. Once Ads Manager is open, click the green "Create Ad" button on the top right of the screen. 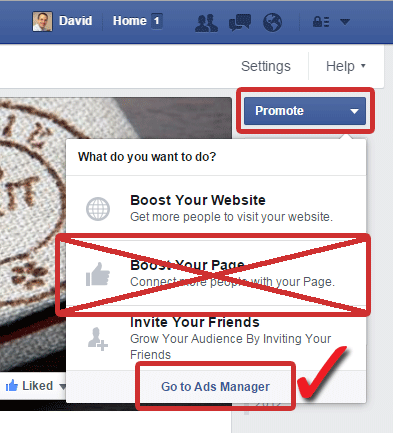 Now choose the "Promote your Page" campaign objective. In the pop-up -- select the page you want to promote, give the campaign a memorable name for future reference, then click the blue "Set Audience and Budget" button. If you created a Lookalike Audience from our previous step, this would be the place to use it. If you're choosing a targeted audience from Facebook's data, again, you have to get this part right. If you don't -- you run the risk of wasting your money to grow a less than ideal fan base. 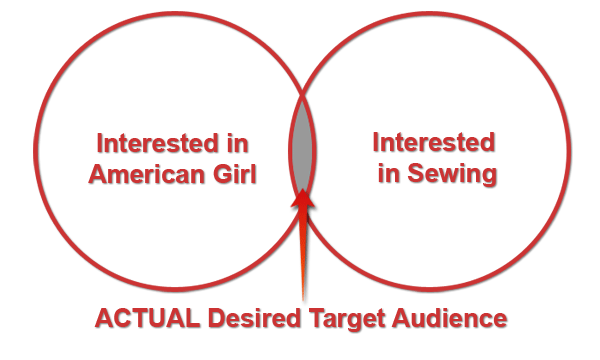 For this campaign, I want to target users who have expressed an interest in the American Girl brand and sewing. First, I chose American Girl as an interest. This gives me an audience with a potential reach of 2 million people. Next, I want to add people who are also interested in sewing. This is where things can get a little tricky and one small (but easy to make) mistake can cost you big time. Notice that our potential reach went from 2 million to 7.1 million. It's because now we've targeted people who like American Girl OR sewing -- but not necessarily both. That's a lot of white space to be paying for when all we really care about is that tiny gray area -- right?! What we need to do is enter in our first audience, American Girl, then click the "Narrow Audience" option. Here's where we put in our secondary interest so we target users who have expressed interest in both. That's more like it! Now we have a nicely targeted audience. But there's another way to target that may make sense for your business -- and it can be even more effective. 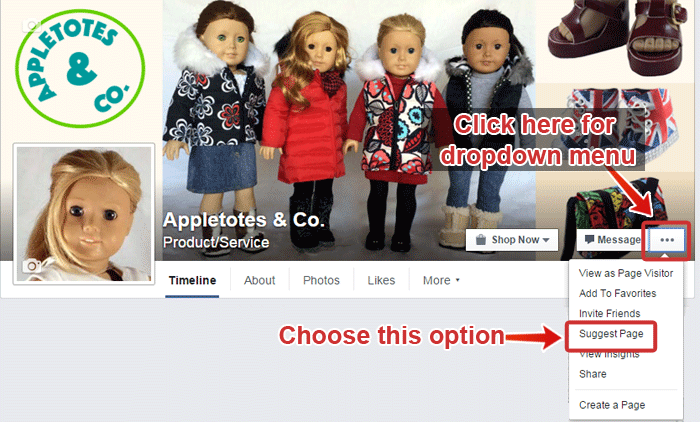 One of the places Appletotes & Co. sells is a site dedicated to doll patterns called PixieFaire.com. They have their own line of patterns called Liberty Jane Clothing. And guess what? Liberty Jane Clothing has a Facebook page with over 30,000 fans. We can run an ad that targets only people who have already liked the Liberty Jane Clothing Page. This is perfect for us because these people already like a page that makes exactly the same kind of product as Appletotes & Co.
Their fans will likely be interested in our designs too! To target a page, go back to the step where we clicked "Set Audience and Budget" and start typing in the name of the page you want to target and choose it. Now we have 2 excellent groups to target with a Like Campaign. Let's do a split test! As with any good A-B test, we'll create two ads that are exactly the same. The only difference will be that 1 will target people Facebook recognizes as being interested in American Girl AND sewing. The other will target people who have liked the Liberty Jane Clothing page. We ran this test to see how the audiences would fare. The ads both ran for the exact same 48 hours, both with a budget of $15 per day. To be honest, I hoped for a better result on the ad targeting American Girl and sewing interests. 97 cents is too high for a page like for this business. The good news is the ad targeting Liberty Jane Clothing Page outperformed the interest targeted ad by more than three times! And those are most likely going to be more engaged fans since we know they already like a page that's a direct (but not exclusive) competitor. 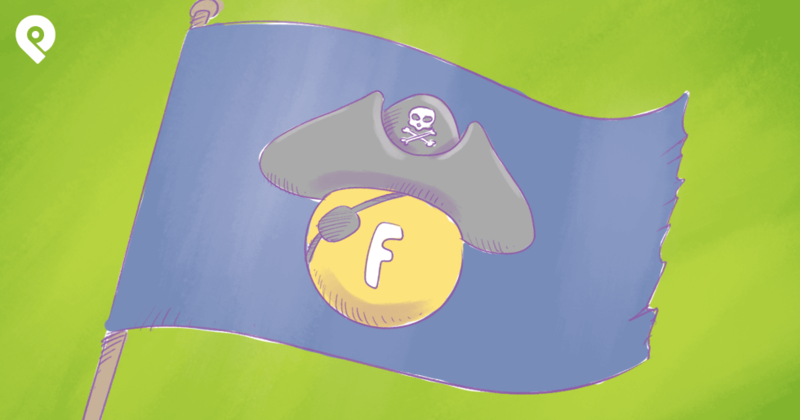 This is an effective, free method to attract the right Facebook fans. It involves scraping your best performing posts. When you have a post that takes off and gets a lot of engagement -- not all that engagement is going to come from people who currently like your page. For example -- when you run an ad aimed at driving traffic to your site, you'll typically get a lot of likes from non-fans. First of all, you'll need to be on your page, but using Facebook from your personal account. As you can see, I'm on the Appletotes & Co. page, but logged in as myself. Next, find a post where you can click on the people who have liked it. Shown below is a post for a contest that we promoted with an ad. It performed well for contest entries, but also got a fair number of likes on the post (even though that wasn't our goal). We can scrape these likes for potential fans. This will bring up the list of those users who liked the post. And, holy cow, look at what's right next to a lot of their names! 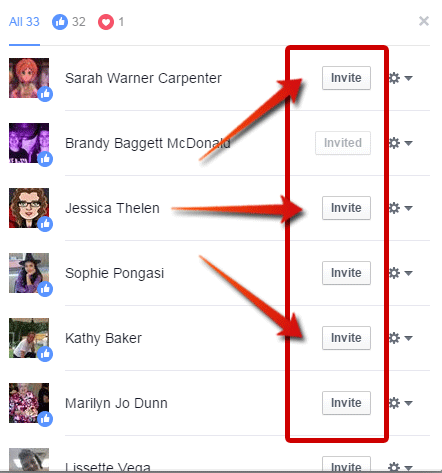 That's right, you can invite these targeted users to like your page with one click. They'll receive a notification. Keep in mind, the invitation will come from your personal account, so it may seem a tad strange if they don't know you. Still, this method is free and easy, and it does work! I know, marketing your business on Facebook can feel like an uphill battle at times. 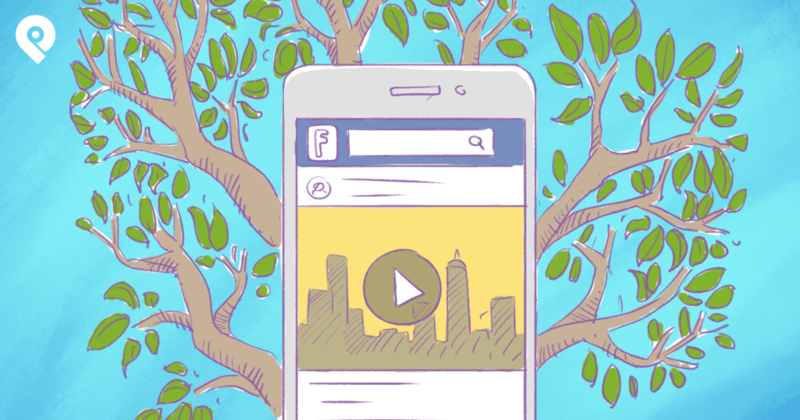 Competition in the news feed is getting fiercer every day -- making it harder to spread your marketing message. The good news is, you can use these techniques to grow a targeted following of fans who truly want to see your content! 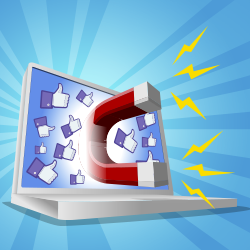 Once you start to attract the right Facebook fans to your page -- everything gets better. Remember to consistently provide your new fans with interesting, value-filled posts. If you do this -- you'll find that getting engagement becomes easy peasy. Now all that's left is to get out there and start making new friends! Good luck!